Let’s face it. Kids don’t want to spend time learning over summer vacation. The good news is you can find ways for them to keep learning without them knowing it. 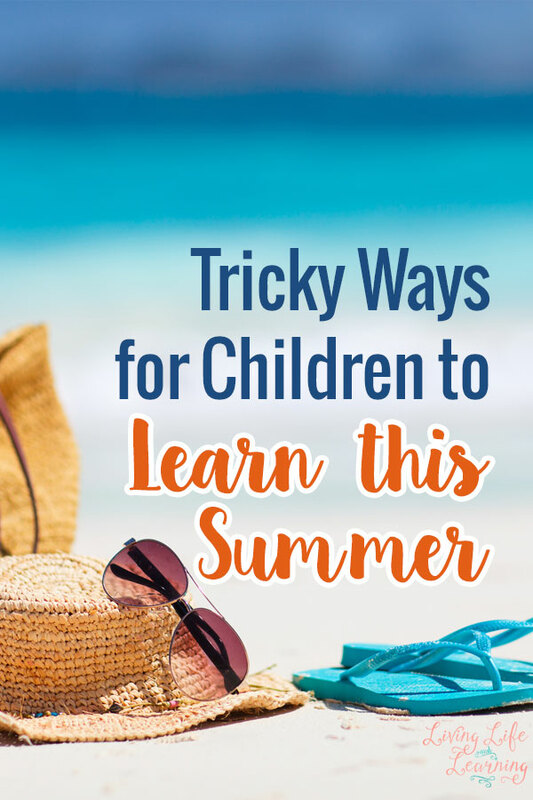 Whether it’s playing board games or cooking together, you’re going to love these tricky ways for children to learn this summer. The library is a wonderful place to spend time this summer. Not only is it free, but there are so many great books for kids to explore. The more time your child spends reading, the better. Look for programs that she can enroll in so that she reads even more. Board games are one of the ultimate tricky learning tools. For example, Monopoly is a wonderful family game that most kids love. However, there a tremendous amount of basic math involved. Another great game that teaches kids about money is Payday. The purpose of the game is to make it through the month with the most money. If your child is in the questioning phase of life, use that to your advantage. Whenever he asks a question, go online together to find the answer. If it’s a topic he’s really interested in, be sure to pick up books at the library so that he can learn even more. My son’s favorite activity right now is to use Google Earth, there’s some geography right there but he just thinks he’s exploring around the world. We visit Egypt via Google, it’s amazing. Cooking is such a great activity. Not only is it affordable, but there’s math and reading involved. To make things even more interesting, try doubling or halving a recipe so that she has to work a bit harder to determine how much needs to go in the recipe. This is a wonderful way for her to work on fractions. Have a special time set aside each day for him to play on his tablet. Load the tablet with educational games that focus on lessons for his age range. It might be reading, math, English, or even spelling. The key is to choose games that don’t feel like work. Read the reviews so that you find the best games for your child. Have your child keep a journal of the summer activities. This is a great way to keep a record of their happenings but lets them practice their writing and spelling. Let them draw pictures and it becomes art. For those who like to get creative, it can be fun even though you’re sneaking in some work. These are just a few of the great ways you can trick your child into learning this summer. Look for ways to add lessons into everyday activities, but make sure you keep it fun. If you do it right, your kids will be begging to learn more all summer long.